Do you make Christmas Eve Boxes for your children? I do. I first noticed this growing trend a couple of years ago when I began getting into blogging and Pinterest started to take over my life. There are so many gorgeous ideas out there, you could definitely get carried away and go mad. I am really excited to start filling this year's boxes for the kids, as I have been lucky enough to be sent a wooden Christmas Eve box from the Sue Ryder Online Christmas Store. I will be honest with you, I would never have thought to look here for such a thing, but I came across them by a stroke of luck really and I thought they looked brilliant. In fact, the entire Christmas store contains some really gorgeous things, which I'll tell you more about later. First, I would like to tell you my thoughts on the Rustic Christmas Eve Box with Lid, that I received. The box came securely packaged and when I opened it, I was very pleased with the size. There's definitely enough room for new pyjamas, a couple of DVDs and the all important Christmas Eve treats. I like the fact that it also comes with a lid to add to the suspense of the contents inside. I also thought the wood effect added an old fashioned touch. 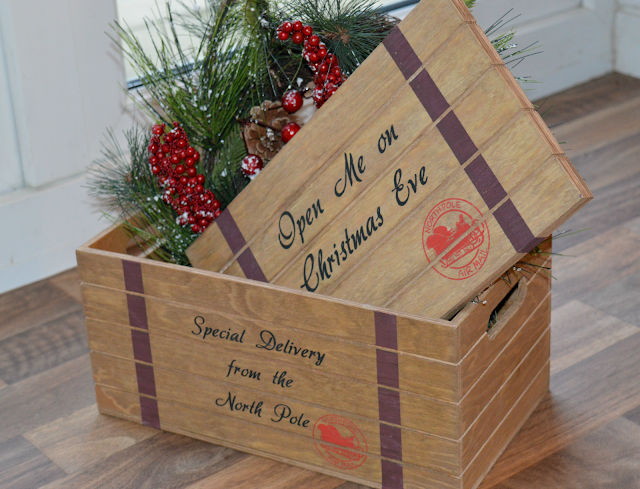 The box comes with a red stamp on the lid which reads 'Special Delivery from the North Pole' along with the words, 'Open me on Christmas Eve.' The box is made from solid wood with a wax finish and is definitely something that you could use, year after year. It also comes in Medium and large, mine being the medium size. The Sue Ryder online store also contains other designs of Christmas Eve boxes, especially crates if you like the contents to be more on display. These grey ones, for example, are also really cute with a nice neutral colour for either a boy or a girl. 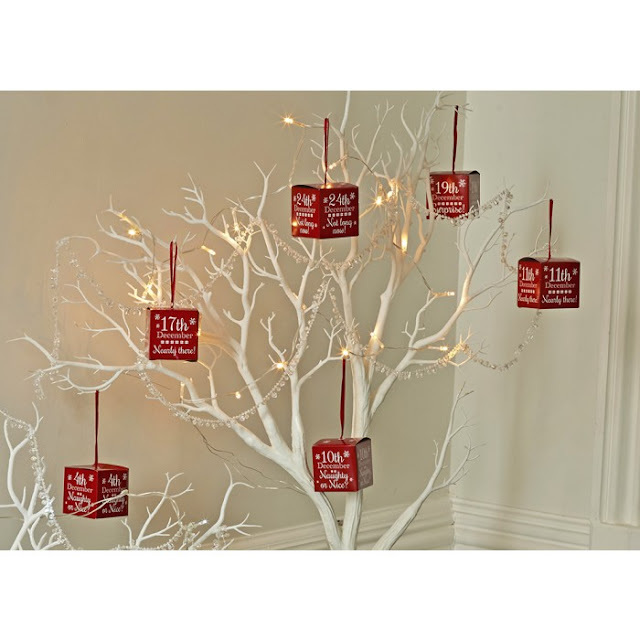 These Advent boxes have also caught my eye, hanging from the tree. Measuring 6cm x 6cm, they are well worth the £4.99 price tag. 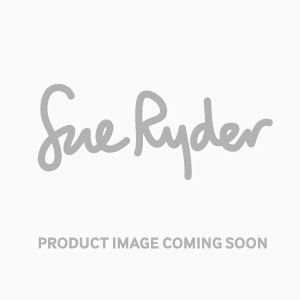 The thing to remember here is that Sue Ryder is a registered charity and that all money raised from the sale of these items, goes to provide hospice and neurological care for people suffering with life-changing illnesses. If you would like to view the Christmas range from Sue Ryder, you can do so by clicking here. *I was sent a Christmas Eve Box for the purpose of this review. All opinions are my own. WOW! These boxes look amazing! Never seen anything like this from an online shop, I didn't even know you could buy them like this anywhere!! We make our own as a tradition every single year for quite a few years now. I love the design of the box, it looks so special and very personal for each child. Really beautiful. Great Blog post! !